The Chut have a population of about 2,400 inhabitants. 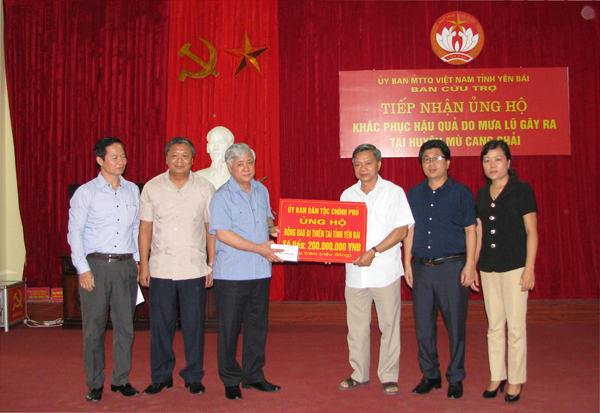 Of them, a large part inhabits in Minh Hoa and Tuyen Hoa districts of Quang Binh province. Their other names are Ruc, Sach, Arem, May, Ma Lieng, Tu Vang, Pa Leng, Xe Lang, To Hung, Cha Cu, Tac Cuc, Ymo and Xa La Vang. 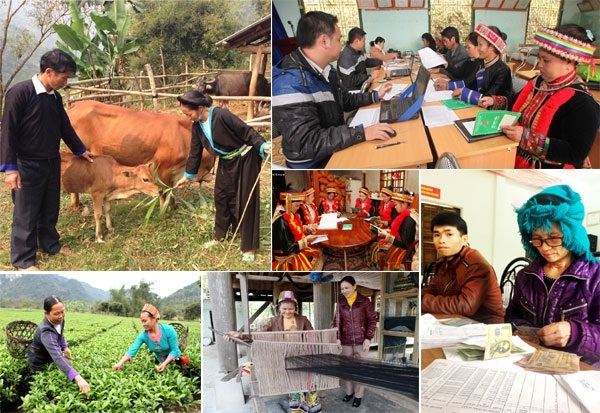 Chut language belongs to the Viet-Muong Group. Among them, the Sach are involved in agriculture and the Ruc and the Arem mainly practice cultivation on burnt-over land. The Chut also practice hunting gathering, fishing and animal husbandry. 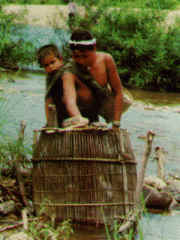 Carpentry and basketry are developed. They do not know how to grow cotton and weave cloth, so have to buy or exchange farm tools, cloth and garments from other groups. Though almost the Chut live a sedentary life, their villages are separated, their houses are temporary. Nowadays, the Chut take the family names of Cao and Dinh. Each lineage has its leader and an altar worshipping their common ancestors. Among the leaders of the lineages, those who wins the highest prestige will be proclaimed village chief. The Chut eat steamed rice and food made from vegetable and snail or fish. Matrimony is kept in a stable status, variance is rare. The Chut organize funerals in a simple way. Especially the Sach group is influenced by the way of the Kinh's funerals. Following their custom, when a person dies, his or her body is kept in the house for two or three days to receive offerings of rice before being buried. The grave is filled up with soil like a mound, no funeral house is to be built on. Three days later, the head of the lineage conjures up the dead person's soul to bring it to the ancestor altar. Since then, the dead family needs no visit to the grave. The Chut believe in the existence of the spirits of the forest, the stream and the space. The genie of the agriculture who protects crops reigns supreme. 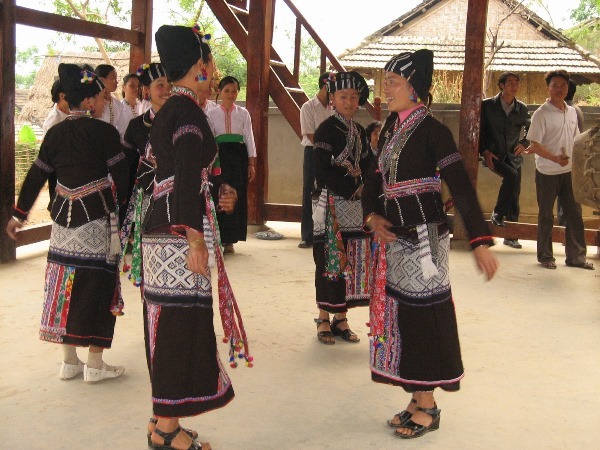 The Chut inherited a rich folk art and culture. The folksongs called Ka-tum and Ka-lenh are very fond of by many people. The ancient tales are diverse with various themes. The Chut play pan-pipes, six-hole flutes, male and female harplike musical instruments and a kind of monocord with a bamboo sound-box.